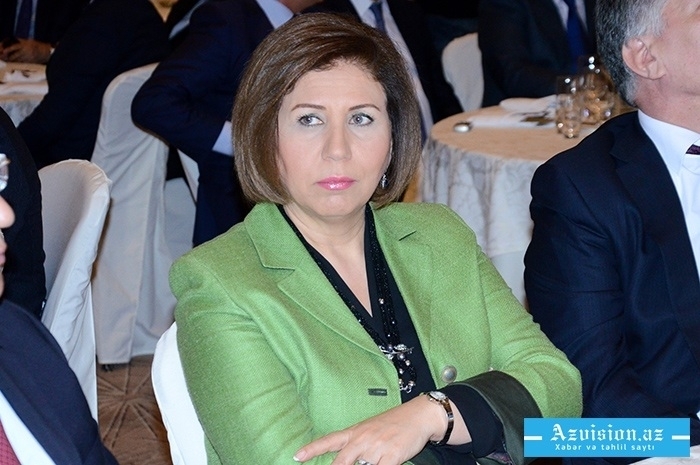 Azerbaijan wants to see from Armenia an adequate representative in the settlement of the Nagorno-Karabakh conflict, vice speaker of the Azerbaijani parliament Bahar Muradova said on Oct. 3. Muradova said it was quite obvious that inevitably there would be demands for the Armenian Prime Minister Nikol Pashinyan's resignation. "If we recall the process of his election as prime minister, it should also be recalled that neither today's parliament, nor government bodies or political forces in power were interested in this," Muradova said. "Pashinyan's election as a prime minister did not eliminate the existing problems, on the contrary, he deepened them further. This is openly manifested in the processes observed in Armenia. It is very important for a politician to possess experience, skills and ability to make diplomatic moves. Pashinyan has little of these, so that opponents will inevitably have a desire to take revenge. Dissatisfied Armenian political forces, aggravating the situation in the country, intend to regain their previous opportunities, and are not going to sacrifice their opportunities for Pashinyan. And this confrontation will only heat up," she added. "The coming to power of a political force is Armenia's internal affair. However, regardless of who comes to power there, Azerbaijan wants to talk with a normal politician who can be an adequate party to the negotiations on resolving the Nagorno-Karabakh conflict," Muradova said.